So here we are, quickly approaching the end of 2015 - a year that has been full of change for Cargo. We would once again like to thank those clients that we have worked with over the past 12 months. We look forward to working with you to grow your business in 2016 and beyond. We are fortunate to have worked on some pretty amazing projects over the past 12 months, both for new and existing clients. We also worked on our processes internally from upgrading our servers to improving our workflow and updating our development software. All of which serves to make ourselves better for our delivery. The first of some big changes is in May we moved to our new studio on Northumberland Square in North Shields. If you haven’t had the opportunity to visit, our door is always open and the kettle is always on. It was great to get into our own space and have it set up in our own way. ‘The Wall’ was completed shortly after we moved in to the studio and the phrase ‘Work hard and be nice to people’ has become our unofficial mantra. A bigger studio meant we could grow the team and we did – from four people to seven. Glen joined the team as junior designer in July. Having worked as a freelance designer for a few years after finishing college, he was ready to move into a studio environment. Working with Carl, our talented lead designer, Glen has quickly become a valuable asset to our team. I joined the team as Operations Director in August after spending 10 years working in one of Newcastle’s biggest set of barristers’ chambers. A bold move some may think but I like to think I offer a new perspective to projects and view things as a client does rather than as the designer or developer. It was, and still is, a very steep learning curve – a bit like going through Jedi knight training – do or do not, there is no try! 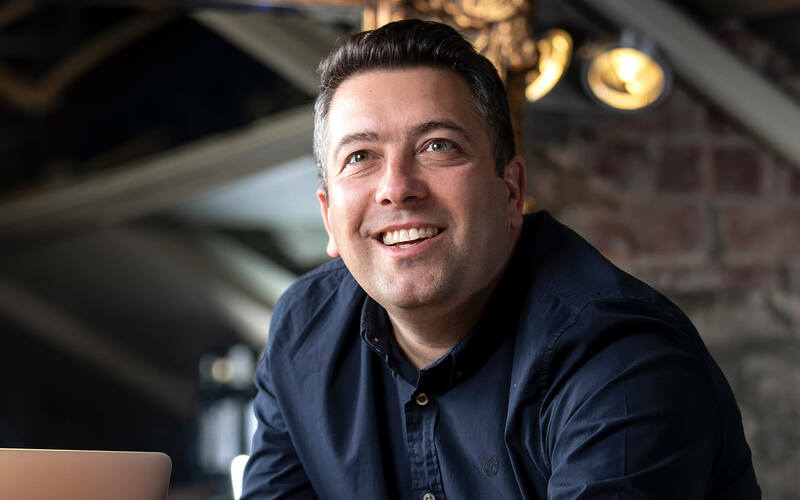 We were keen to expand the team and the most logical area to grow was our digital marketing offering to complement our well established web development team – the force that is Rich and Adam. We advertised for someone for this role and interviewed some great and talented people but we just didn’t feel that we had found the right person. Then along came Elyse. We knew straight from the first meet that Elyse would fit right in with our team and we were proven right. Elyse’s experience and expertise means we can now offer a digital marketing service across the board to our clients. From the first few projects we have taken on we have found that our strength as a team lies in really getting to grips with our clients business needs and understanding where they sit in the marketplace. This allows us to develop a digital marketing strategy that is tailor made for our client so they get the best results possible. We explore with our client exactly what they want and become part of their marketing team to deliver those results across the board – everything from social media strategy and support to rich, on-site content. This gives our clients access to the expertise of our whole team – copywriting, web development, designers, social media expert – everything they need to be successful in the digital arena. We have run focus groups and workshops across all areas of our expertise to great success and found just how valuable they can be. Something we definitely want to do more of in the future! The great thing about this area is that it has allowed us to develop projects further with our existing clients and build on existing relationships. It’s thanks to our happy clients that we have been able to develop new ventures, like our focus groups and workshops, to help us strengthen and gain new skills. So what does 2016 have in store for us? We are grateful to already have a number of projects lined up for the early part of the year, with a some exciting websites launching in January and February – we’ll let you know once they are live. We are also currently working on a brand for a new restaurant, which is due to open in early 2016 – again, we won’t spoil any surprises but watch this space for the big reveal soon. We have loved this project as it has allowed us to explore a sector we haven’t previously had the opportunity to work in and knowing the standard of food on offer we are sure it will be a big hit in the North East! 2016 is looking like a fantastic year and all of us here at Cargo are excited for what’s ahead. After our best year yet in 2015, we are looking forward to moving onwards and upwards. All that remains is to wish you all a very Merry Christmas and a Happy New Year.